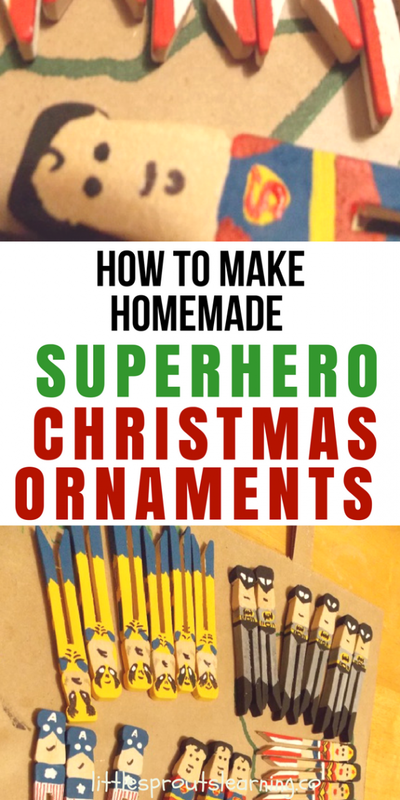 Wouldn’t you love to make homemade superhero Christmas ornaments for your tree? I try to make something homemade for the tree every year. I love how the memories add up over the years. 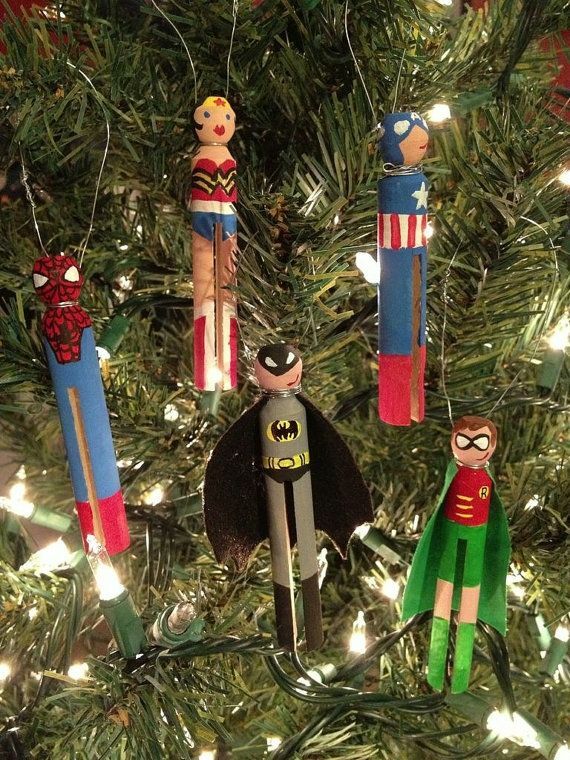 Check out these homemade superhero Christmas ornaments that were so fun but hardly cost a thing. For as long as I can remember, I’ve been in love with Wonder Woman. Watching her on tv as a little girl, I wanted to be strong and smart like her and save the day. I would go down to our basement and put on my bathing suit (that’s what I thought her costume was) and my roller skates so I could spin like her, and pretend to get the bad guys for hours. One of my favorite memories. I LOVE Wonder Woman! Time with good friends. A few weeks ago, I saw these ornaments on Pinterest. They were so cute so I pinned them. 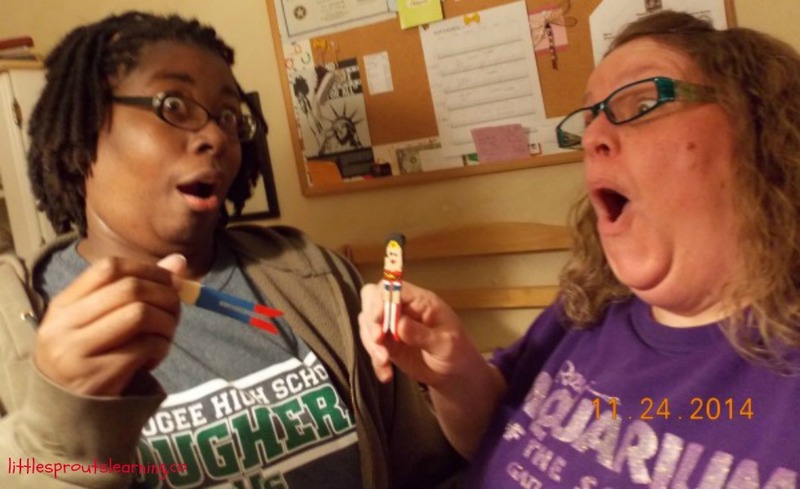 A few days later I got a text from my friend Sharica saying she saw my pin and asking me to hang out and make them with her. I told her of my less than stellar painting skills. She told me I could do it and it would be easy. 🙂 Oh Sharica, I really can’t paint. But we made the date. 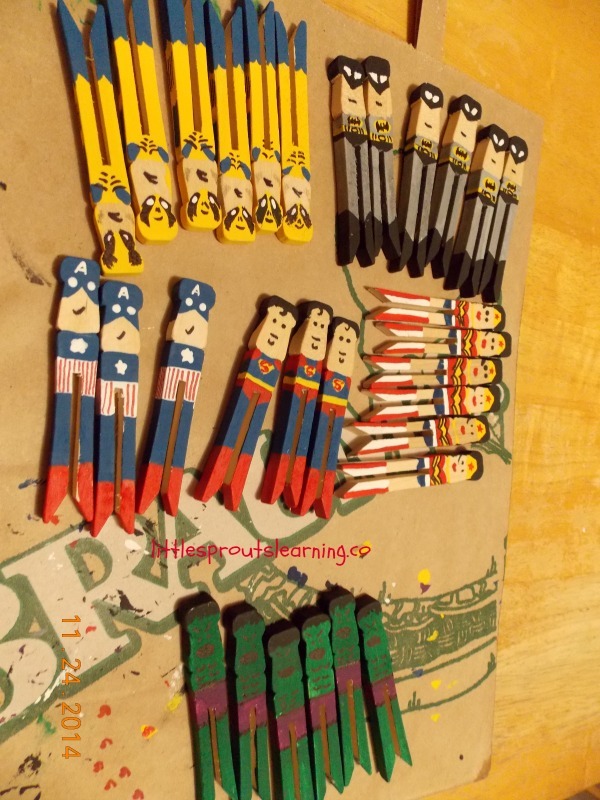 She came over with all the paints and some of her own style of clothes pins and drew a few designs on them with a pencil for me to paint. We got a few pictures off the internet for details. 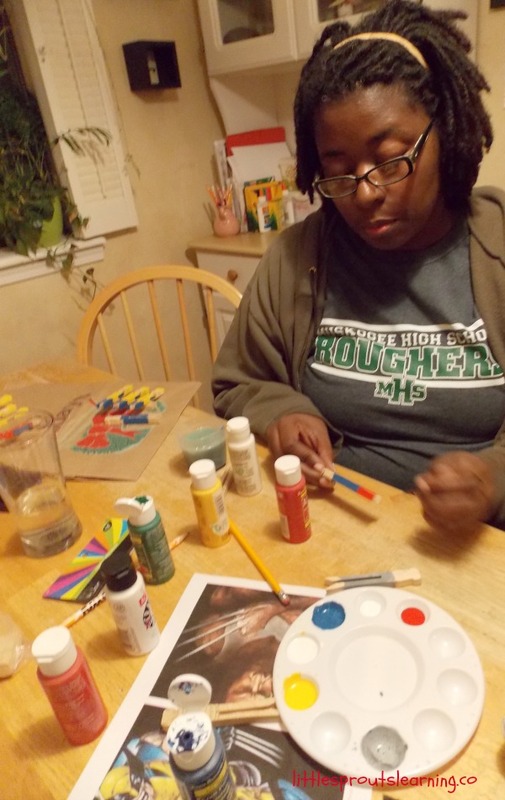 First, we painted the main colors, then we painted the accent colors and the details were last. Later we glued some ribbons to the back for hangers. It was so much fun to paint some childhood heroes. She helped with the details I couldn’t paint. But more than that, she encouraged me to give it my best try. I ended up having the best time ever. Good friends are a rare treasure in this world. I don’t take them for granted! When my kids saw these the next day, they were super excited and they can’t wait to put them up on our tree. I think they turned out adorably. Can you tell what all of them are? Mr. Kent got some of his favorite. 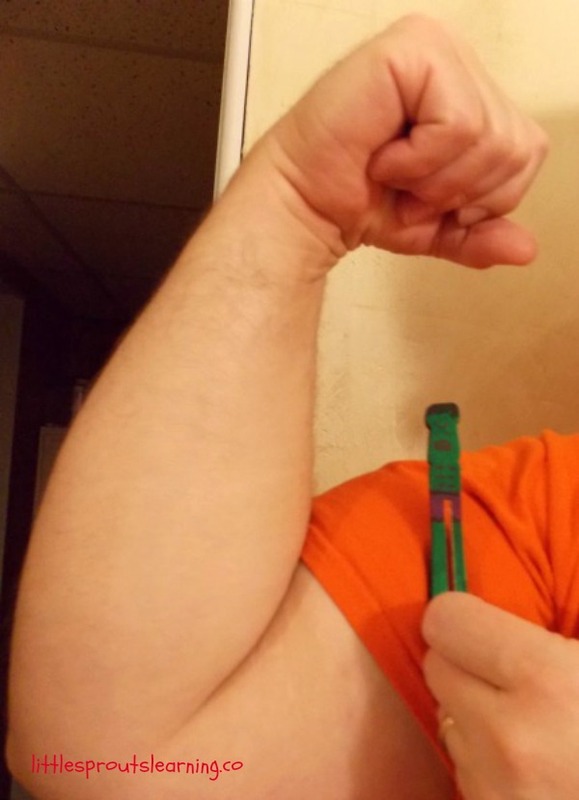 Here’s a muscle shot to make your day. 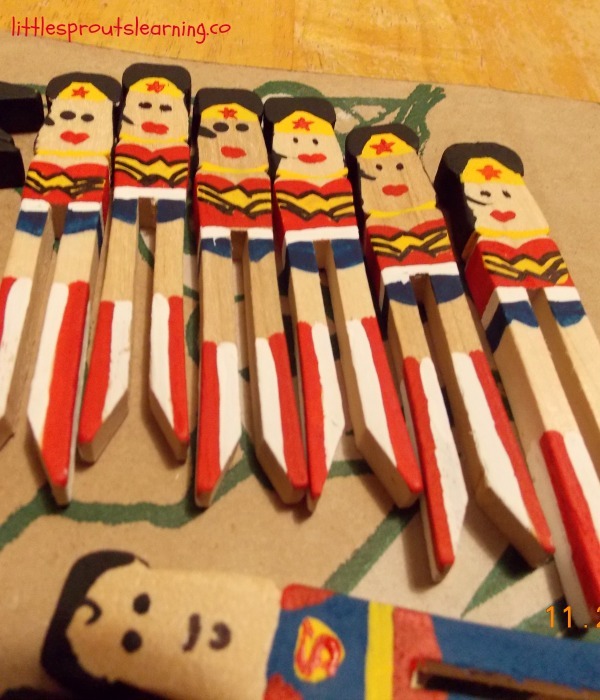 But the Wonder Woman ones were the best. I thought about what an awesome role model she was for me as a little girl in a world dominated by strong male influence. 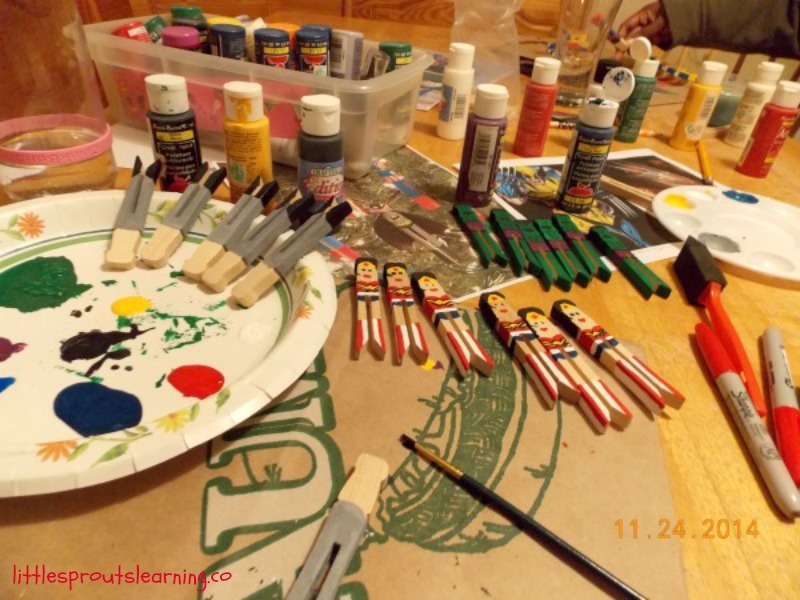 If you don’t want to paint some very cool ornaments, plan to get together with some friends and have some fun anyway. 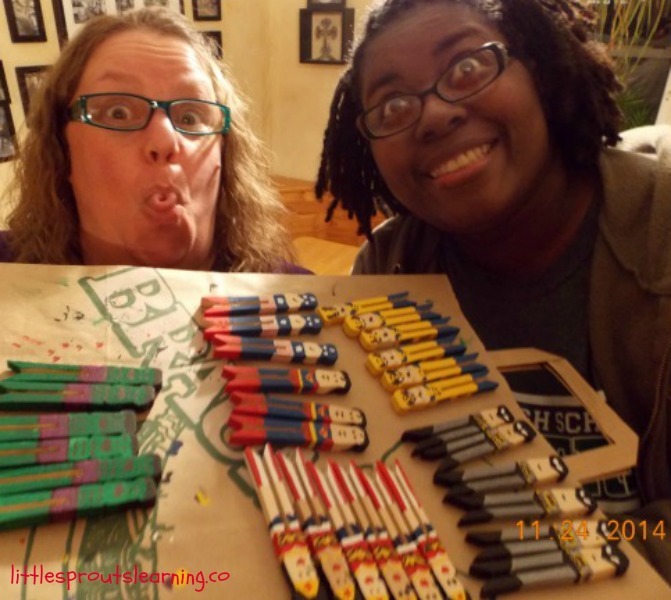 It’s a great way to break up the hustle and bustle of the holiday season and just have some fun. What ornaments have you made with your peeps? 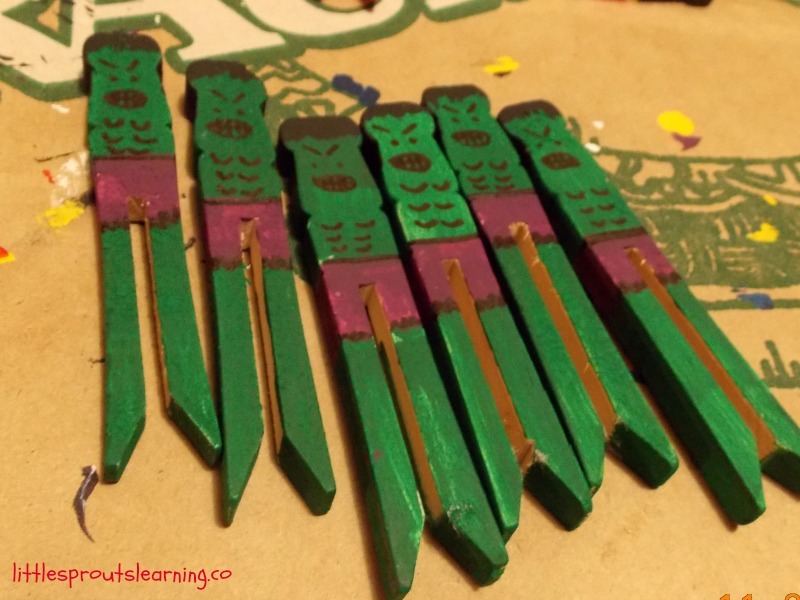 For some more homemade ornament ideas that are eco-friendly too, click here. Those are so cute! What a great gift for the kids to make!